Marazzi USA plays a key role within the strong global presence of Marazzi Group by decisively meeting the tile needs of the North American market.Manufacture and sourcing of a vast array of products – porcelains, glazed ceramics, glass mosaics, metallics – brings a total tile package that addresses aesthetic and performance requirements of designers, architects and homeowners. For over 30 years the Company has resoundingly met the unique requirements of the expanding American marketplace. Carpet gets grimy, wood floors scratch and crack, and vinyl? Well, vinyl looks like vinyl. You have several choices when it comes to flooring, but no other flooring can match the durability, value and timeless look of ceramic tile. Although quietly beautiful, ceramic tiles are deceptively tough. 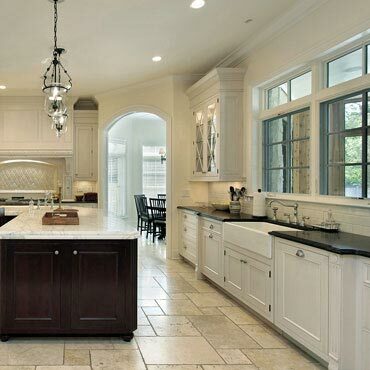 Ceramic Tile is extremely scratch resistant, temperature tolerant and stain resistant. Qualities you'll be hard-pressed to find elsewhere. Ceramic tiles are also a cinch to clean; usually just a little light wiping or damp-mopping does the trick. Tiling is an environmentally safe, natural choice for flooring. Ceramic tile lasts much longer than most other flooring materials, so over time there's less wasted money and materials. It's no wonder people turn to tile time and time again for their flooring needs.